SOMERSET, NJ – Takara Belmont released the new Duet Styling Chair which features a removable lumbar support cushion that doubles as a booster seat, steel reinforced back supports for added durability and an expanded seat area to accommodate a variety of clientele. The Duet Styling Chair is designed with a unique folding lumbar support that can be swiftly converted into a children’s booster seat. The support cushion is attached by industrial strength fasteners for quick and efficient removal and cleaning between client services. It is available for upgrade as an accent panel, which can be upholstered in the same vinyl color options as the main body of the styling chair: Standard Black, KP2 Dark Brown, or Grade 1 and 2 vinyl upholstery options. The durable, stylish and comfortable chair weighs approximately 44 lbs. with a standard X5C five-star chair base, plastic backrest cover and a 217 footrest options. Alternative upgrade options include a 317 or Euro style footrest for a customized look and feel. 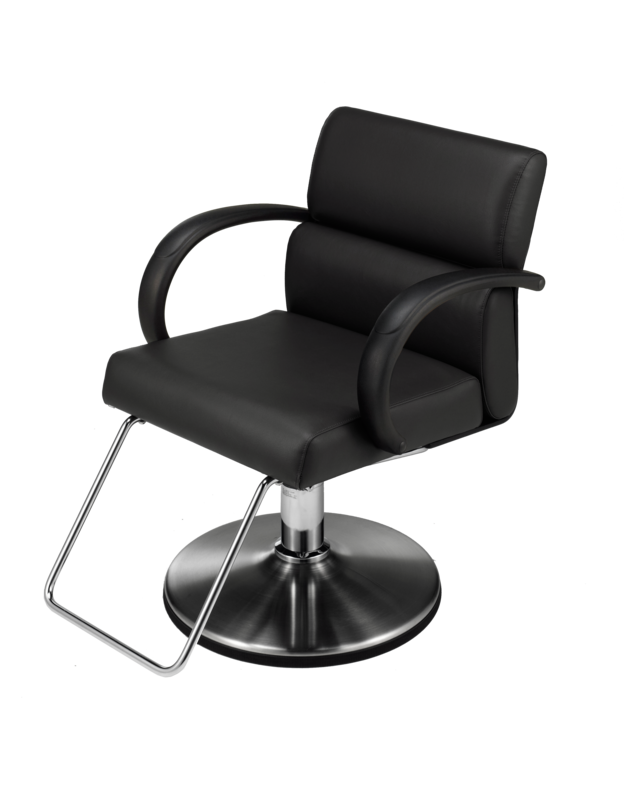 The Duet Styling Chair features a 20-inch inside arm-to-arm width, 34.8” height on an X5C base, 24.5” overall chair width, and a 22.9” overall chair depth. The Duet Styling Chair can be seen at the Takara Belmont booth at America’s Beauty Show in Chicago, March 22-24. For more information about the Duet Styling Chair, please visit www.takarabelmont.com.